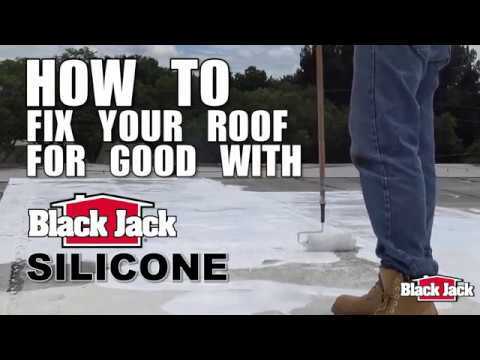 5576-1-30-F 18 L 12.1" x 12.1" x 16.16"
5576-1-20-F 1 gal 7.75" x 7.75" x 7.75"
Black Jack® 100% Silicone Roof Coating is formulated to deliver superior waterproofing protection to your roof surface. This rubberized coating, forms a chemical bond to the roof surface which provides incredible adhesion and long term waterproofing protection. This product will also withstand areas that pond water, and will hold up in areas where other coatings will fail. The coating dries to a bright white finish, which keeps roof surfaces cooler and has excellent UV resistance. Finally, this high solids formula is quick setting, low odor and can be applied in a wide range of temperatures.